We've been venturing around London in search of the best steaks around. 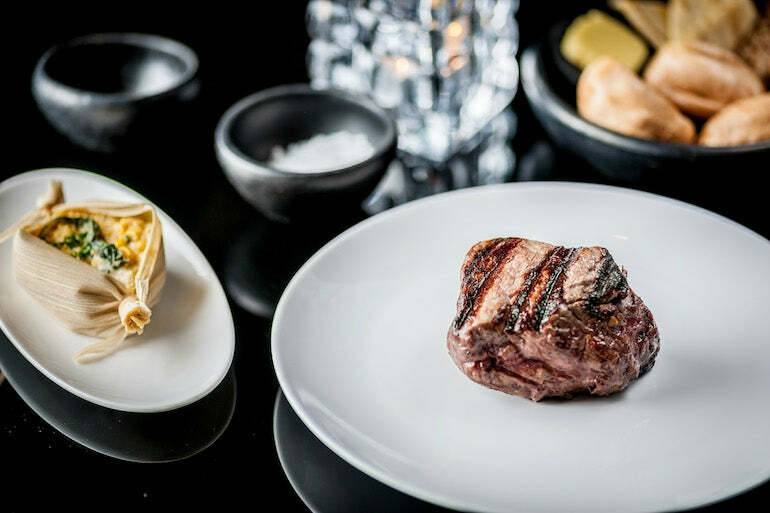 This time, we took our search to the Argentinian Restaurant, Gaucho, situated on Charlotte Street, and it's safe to say, we weren't disappointed. Gaucho pride themselves in their high-quality Argentinian beef - and we definitely back this. Since their first restaurant opening in 1994, they have now grown to host a total of 15 sites over London, Manchester, Leeds and Birmingham. They have recently opened two sites in Hong Kong and Dubai. Gaucho Charlotte Street, 60A Charlotte Street, London, W1T 2NU. Other London sites are in Broadgate, Canary Wharf, Chancery Lane, City, Hampstead, The 02, Picadilly, Richmond, Sloane Square, Smithfield and Tower Bridge. Although Gaucho doesn't like to label themselves as a steak house, 92% of the dishes they serve up is, unsurprisingly, beef. All their beef hails from Argentina, and the quality is like none other I have had before. What makes Gaucho so spectacular is the combination of beautiful, innovate interiors that meets exquisite food combined with top-class service. This is not one to be missed. The interior of Gaucho is unmistakable. It is evident how much thought and consideration has gone into designing the restaurant to such a high standard, and the Charlotte Street location was nothing short of fascinating. 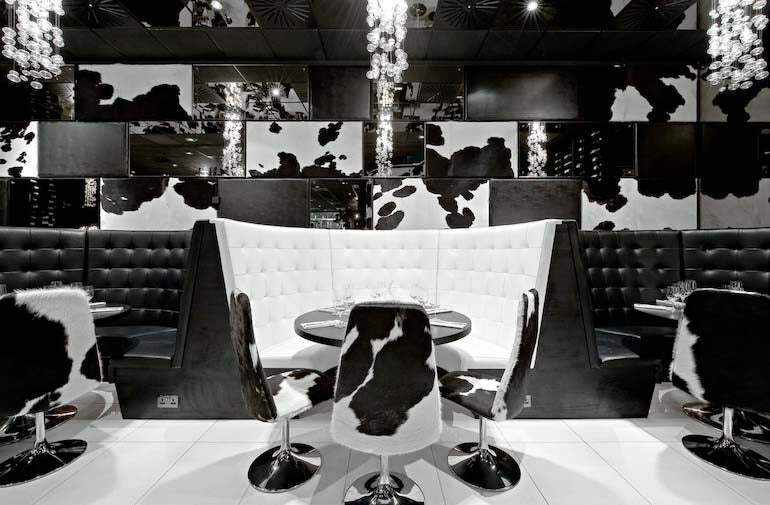 The restaurant is decorated with white cow hide covering the walls and chairs. Complimenting this are plenty of mirrors and glass chandeliers in an attractive monochrome palette. 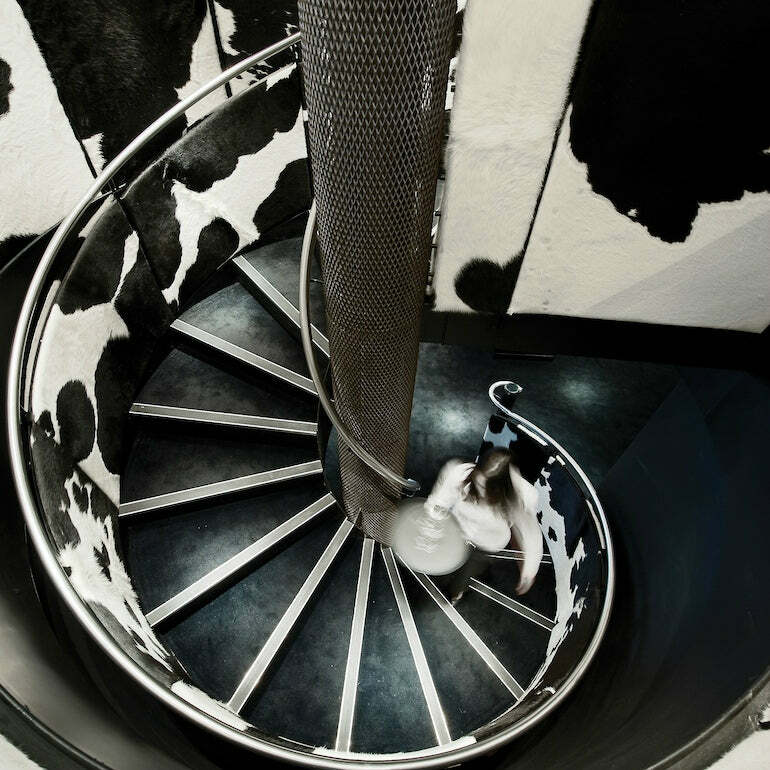 The stand-out feature of this restaurant is their winding staircase, taking you from road level down to the restaurant below. The entire design is a contemporary reflection of Buenos Aires. 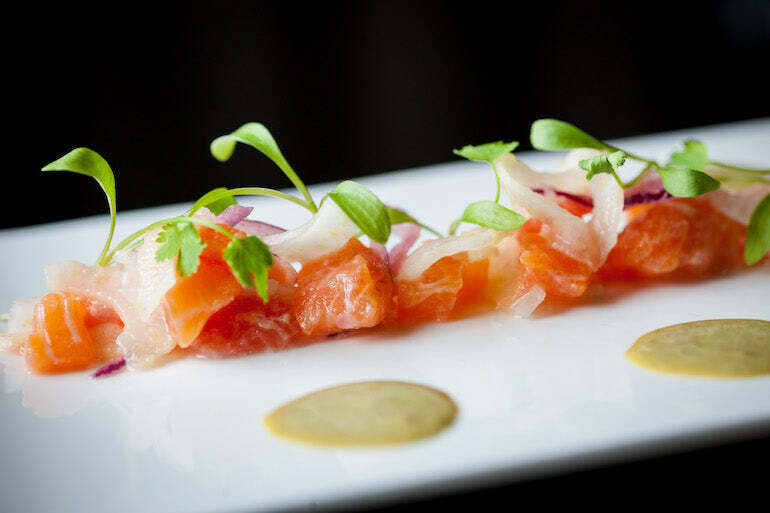 Dining at Gaucho is more than simply enjoying a meal - it's an experience. I left the restaurant having learned so much about the food and the wines, all sourced in Argentina. This is the kind of knowledge that your date would be impressed at if you were to repeat it. For this, I give full credit to our waitress, Angelika, whose knowledge and expertise was beyond admirable. Gaucho runs a training scheme for all staff, where they are taught in-depth information about all the products available. This ensures that the service is second to none. I'm going to say it: you would be mad to come here and not eat any beef! Saying this, they do still offer vegetarian options, but that's beside the point. If you're stuck on which beef cut to go for, fear not. Your waiter will bring over a board will all the raw cuts, describing the qualities of each meat, and individually recommending a cut depending on your steak cooking preference. In addition to this, they will advise you on the best Argentinian wines to drink with the food you choose, as well as providing information of its region and the nature of its production. This is another reason why the service really stood out. Gaucho is the kind of restaurant you would take someone you either really love, or want to impress (or both, of course). The menu is by no means cheap, however, the price is reflected in the quality of the food and the wine. As one may assume from the interior, the restaurant boasts a classy atmosphere, filled with people who have travelled to experience the finest Argentinan cuisine that London has to offer. If you're visiting Gaucho, we suggest you make an effort with your outfit. 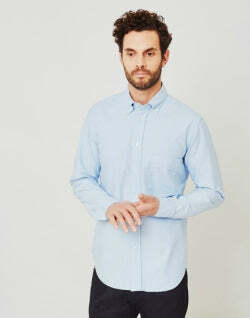 This doesn't mean you have to go all-out, but a shirt is certainly a good idea. 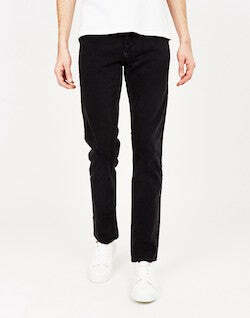 Wear your shirt with a pair of slim-fit black jeans and some loafers without visible socks. Add a blazer to finish your look.